I frequently get asked questions about some of the desktop utilities I use. I’ll run through two of them here: Launchy and AutoHotkey. Launchy is an application launcher with the polish and look of modern software that has not forgotten its command-line roots. It indexes specified directories, and provides easy access to any applications, shortcuts or files in those directories without having to touch the mouse. Pressing [Alt] + [Space] brings up the main window, from which one can type in the (partial) name of any Start Menu item. Launchy lists the most relevant result, and a quick [Enter] launches it. By default, it indexes all the items in the Windows Start Menu. I also added a folder of shortcuts that sits on my desktop. Whenever software adds shortcuts to my desktop, I move them into this folder. This directory also includes shortcuts to every Control Panel item so that they’re indexed as well. The end-result of indexing all these folders is a comprehensive, searchable keyboard-based program launcher. The most extensible features of Launchy are its plugins. I use two: Runner and GCal. Runner creates shortcuts that are executed as they would from the “Run” window. The power lies in its ability to handle arguments by pressing [Tab] after typing the Runner shortcut. I use this feature to quickly use a search engine without having to switch to my browser. For example, I can run a Google search from any program by pressing [Alt] + [Tab] to start Launchy, type “google” then [Tab] then “France” then [Enter] to open a new tab in Firefox with a Google search for the query “France.” I have this set up for Google, YouTube, Wikipedia, and Dictionary.com. I also have shortcuts to GMail’s defaut compose message page and Google Calendar’s default new event page. GCal hooks into the Google Calendar API to allow you to add events to your calendar from the command line. Using the Quick Add format, typing “gcal” then [Tab] then “Meeting with Chris at SciLi tomorrow at 3PM” automatically adds an event to my Google Calendar with the proper name, time and location filled in. This makes it even easier to replace a traditional written calendar by having the ability to add an event so quickly. Launchy is free and open source, for Windows and Linux. 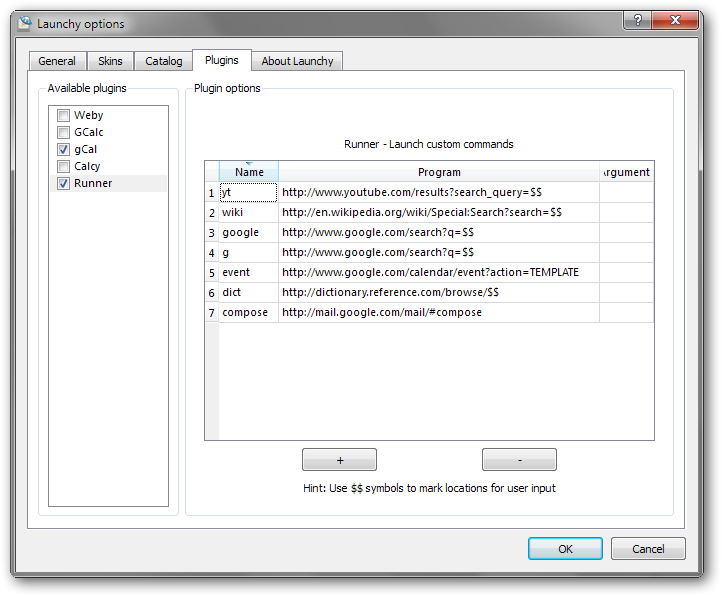 Runner is included with the regular installer, and GCal can be downloaded from the forums. I use the SE7EN skin. While AutoHotkey (AHK) is an entire scripting language unto itself, I programmed a few very simple but extraordinarily helpful shortcut keys. I found that I frequently copied and pasted text into the same search engines over and over again. Just like with Launchy, the top four were Google, YouTube, Wikipedia and Dictionary.com. 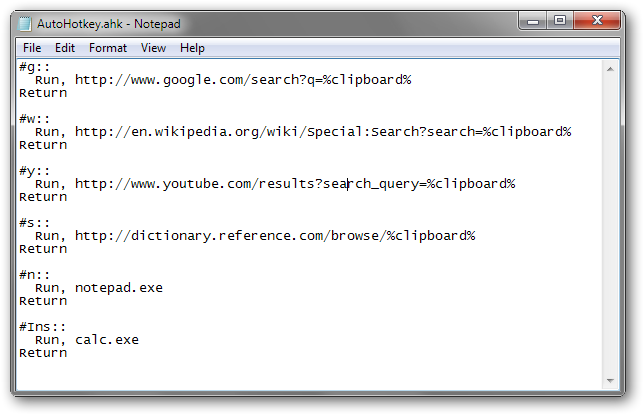 To save time, I created an AHK script that would search each of these sites with my computer’s clipboard text as the query. For example, after selecting and copying the words “Vancouver Olympics” to the clipboard, I can press [Win] + [G] to search Google, [Win] + [Y] to search YouTube, [Win] + [W] to search Wikipedia, and [Win] + [S] to search Dictionary.com. After getting the hang of it, I noticed a real boost in speed when researching a topic on the web. In my script I also included two extra shortcuts. The keys [Win] + [N] start Notepad and [Win] + [Insert] start Calculator. 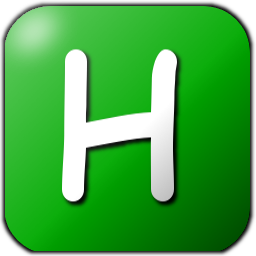 AutoHotkey is free and open source, for Windows. You can also download my short script. AutoHotkey is definitely worth playing around with! You can even create your own simple applications. Check out my script to easily access desktop shortcuts: http://www.gamesbyageek.com/desktopshortcuts/show-desktop-shortcuts-autohotkey.php Thanks for your post. I like your use of the clipboard.